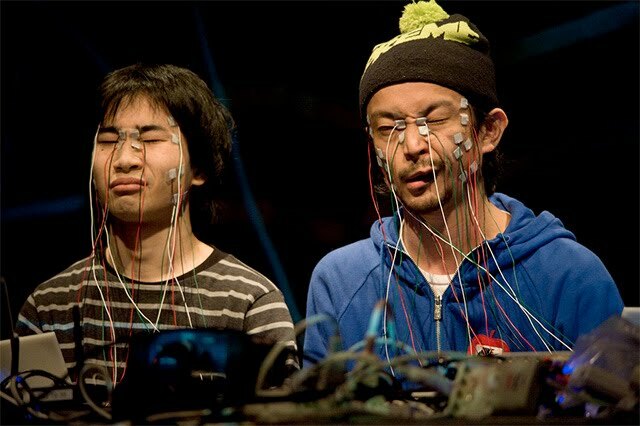 Daito Manabe perform with his Face Visualizer live during the Transmedialefestival in Berlin. 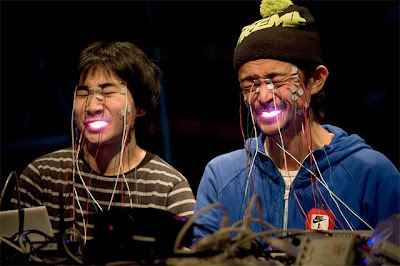 The Face Visualizer is a tool which lets people’s faces move artificially in sync with music through electroshocks produced with the Max/MSP programming platform. I’m pretty sure you’ve seen the videos of his first tests like these ones here. He performed together with Ei Wada, who definitely was quite surprised by some of the electroshocks.